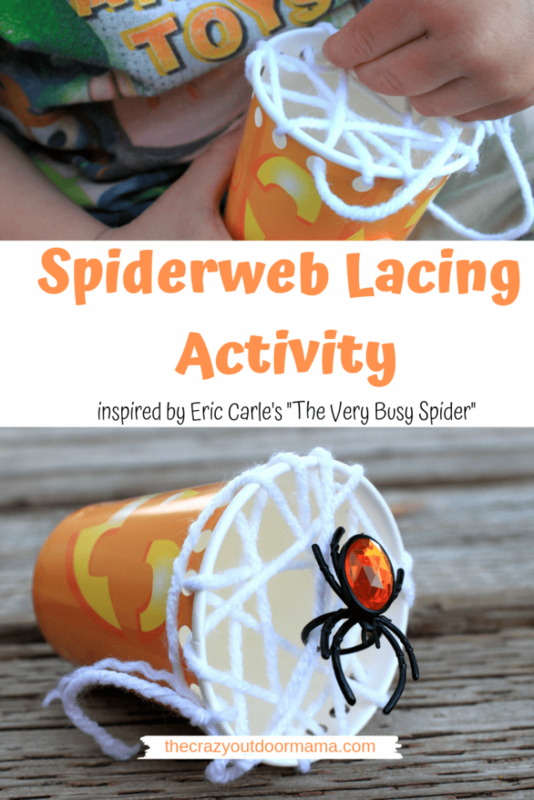 Fun and Easy “The Very Busy Spider” Lacing Activity for Kids! 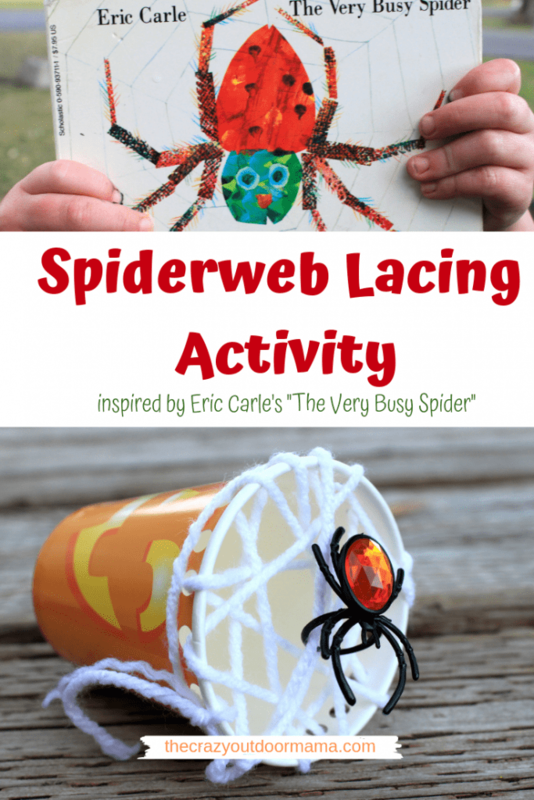 This spiderweb lacing activity is a perfect companion to this Eric Carle favorite! This Halloween spider craft goes perfectly with the Eric Carle book “The Very Busy Spider” and is an excellent fine motor practice! With Halloween getting close, I’ve kind of been aiming my little guy towards “Halloween” themed books. We have a book box, and I try to rotate the bottom to the top etc.. but I especially make sure seasonal ones are at the top. He’s always loved “The Very Busy Spider” because it has tons of animal sounds, but also because he gets to see the progress the spider makes with her web! It’s a great book that shows hard work gets the job done, and for the younger kids (I have twin one year old girls) it’s great animal sound practice! I loved how her web caught the fly after watching all the work making it, and wanted to sort of replicate that and make it even more educational! That’s how this spider web craft was born – something for my little preschooler to practice his hand eye coordination, but also something that’s super fun! 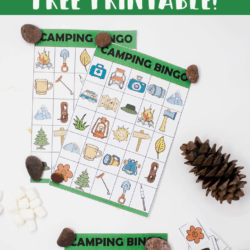 What’s even better is that this craft can be adapted for kids that are a little more advanced, such as kindergartners. Stay tuned for the bonus at the bottom to take this cute spider craft to the next level! Don’t fret if you don’t have the book, BTW! This easy Halloween craft can stand alone just fine on its own – who doesn’t love to make a spiderweb home for their very own spider! P.S. 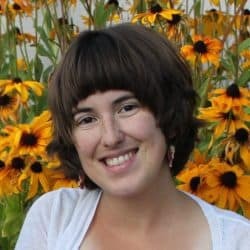 This post may contain affiliate links – I am an Amazon Associate and will receive a small commission (at no extra cost to you!) if you purchase something through my links! Items needed for this easy Very Busy Spider craft! BONUS – some play doh or something bug like to simulate catching the fly, just like in the Eric Carle book! Ask your child to thread the yarn through each hole to build a web for their spider, just like in the book! 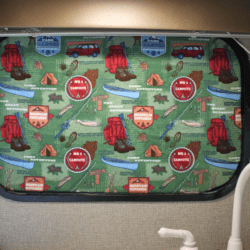 Depending on the age of your child, the threading portion may take some time. That’s ok! Just keep motivating them by saying their spider is so excited to see the house they are building! 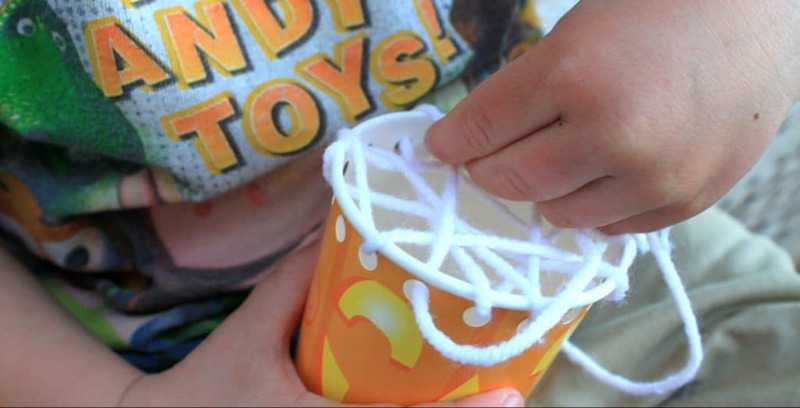 How to make this Very Busy Spider lacing activity even more fun for more advanced kids such as kindergartners! 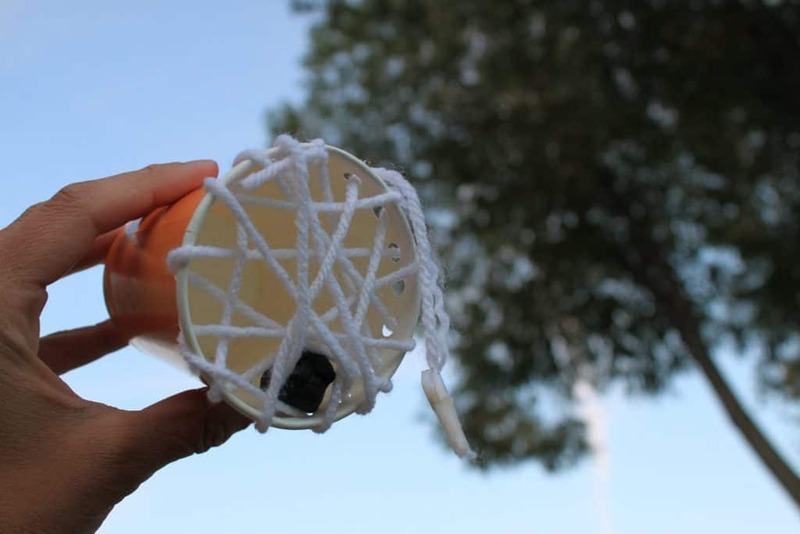 If you want to really add something fun to this craft, ask them to make a web that will “catch” their bug! Simply make a decent size play doh ball (or anything else bug like) and tell them to make a “web” that will prevent the ball from escaping! Here are some other fun preschool Halloween crafts! This apple stamping pumpkin fun here! This leaf crunching pumpkin craft that’ll help the whole family really enjoy fall! My guys “spider web” catching his bug! JUST LIKE THAT, as Eric Carle would say!